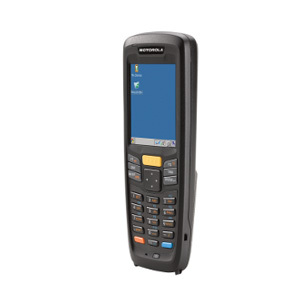 From the sales floor to the backroom, the Zebra MC2100 mobile computer has what it takes to affordably automate the capture of data right at the point of work giving your workers the tool to get the job done both quickly and accurately. Although value-priced, the MC2100 offers the fastest processor and best memory combination in its class while providing a rugged design, superior ergonomics, and flexible data capture options. 2.8" Screen, 1D / 2D Imager, 802.11b/g/n, Bluetooth, No Camera, 128MB RAM / 256MB Flash, 27 Key Numeric Keypad, Battery, Windows CE 6.0 OS. 2.8" Screen, 1D Laser, 802.11b/g/n, Bluetooth, No Camera, 128MB RAM / 256MB Flash, 27 Key Numeric Keypad, Battery, Windows CE 6.0 OS.